Elevate Health Group (Glendale) - Book Appointment Online! 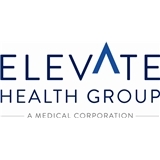 Elevate Health Group officially opened its doors in August of 2015. Our office is located in Glendale, CA, conveniently across the street from Glendale Adventist Medical Center. Started by Board Certified Internal Medicine Physicians, our aim is to provide our patients with the highest level of care, with an evidence based and modern approach. Elevate Health Group provides a wide array of services including Annual Physicals, Chronic and Complex Medical Management, In-patient Hospital Services, Nursing Home Visits, Well-Visits, Pre-Operative Medical Optimization, Sports Physicals, STD Screenings, Vaccinations, and much more. We also provide IV Vitamin Services with a wide array of cocktails. We have also recently introduced CoolSculting, a fat-freezing procedure that is the only FDA-cleared, non-surgical fat-reduction treatment. The doctor & his team are very welcoming & helpful. Having recently moved to CA from NJ, I am blessed to have found Doctor Derhartunian. He cares for his patients overall well being, and really listens to everything you have to say. His staff is just as amazing and very helpful! I had trouble filling out the paperwork since I am a new resident, and his team helped me with every question (I must of asked at least 5) to get me registered, huge Thank you! Very thorough and listened to my issues. As this was my first visit, he took time to review my information sheet in my presence. Very friendly staff.